Last time I was mentioning Adam Rickfors' own stuff was the last May when he has released heavy electronic house-single "Push The Tembo". Wondering how has Adam changed his direction these days? 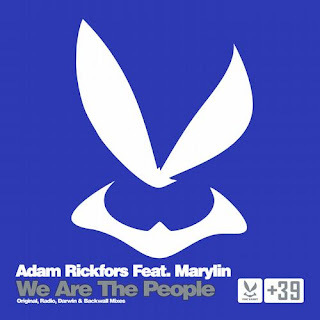 You should check his brand new single "We Are The People" which presents absolutely different side of Adam's music. "We Are The People" is a big euphoric club-track with female relaxed vocals and dreamy piano keys growing to an anthemic synths which has become a formula of success in 2012 and still spreads the joy and shakes dancefloors. Why not when we have a worthy pop-tune and great production like this?